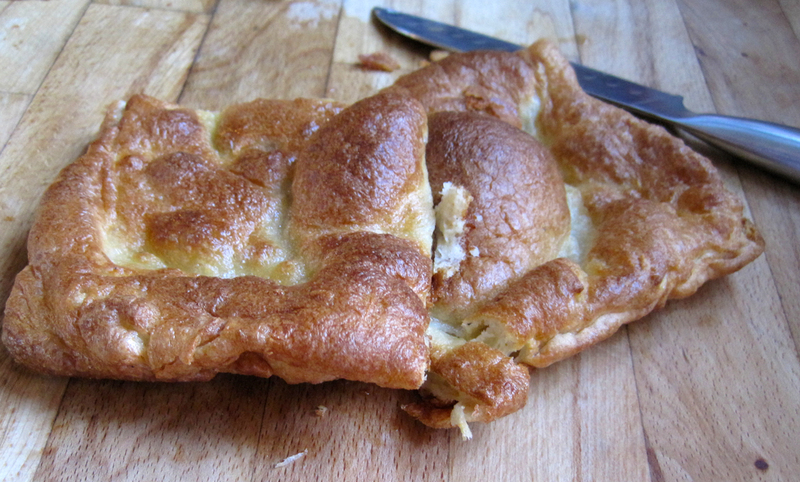 Celebrate Yorkshire Pudding day! 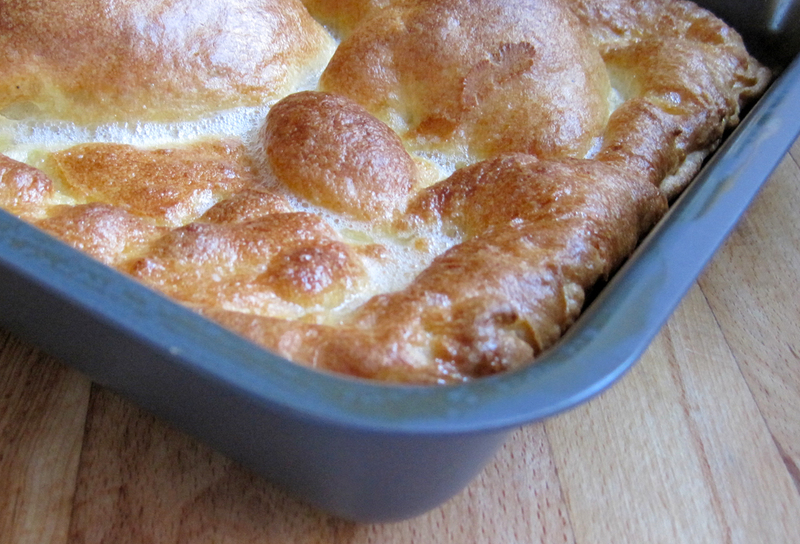 Each February, the 1st Sunday of the month is designated British Yorkshire Pudding Day. First of all you need the proper pan for the job and this Yorkshire Pudding Pan from Mermaid Cookware is just the very thing. Of course you also need a good recipe too - Delia Smith has a good one. I must admit my Yorkshire puds are never the same and as you can see there's nothing neat about them whatsoever! They bubble up here, there and everywhere, but not to fuss as they taste good whatever shape they are. Having been given this pan to review it has to be said it did a great job. Perfectly non-stick, easy to wash and large enough to make Yorkshire pudding for a family and excellent for making toad in the hole. Wash in hot soapy water (it's not suitable for the dishwasher) but that said there really isn't any need as it washes up so easily. Oven safe up to 240C/475F or Gas 9 and made of Hard Anodised Aluminum means it has even heat distribution and is meal utensil safe. None of my kitchen utensils are metal so I really can't comment on that. 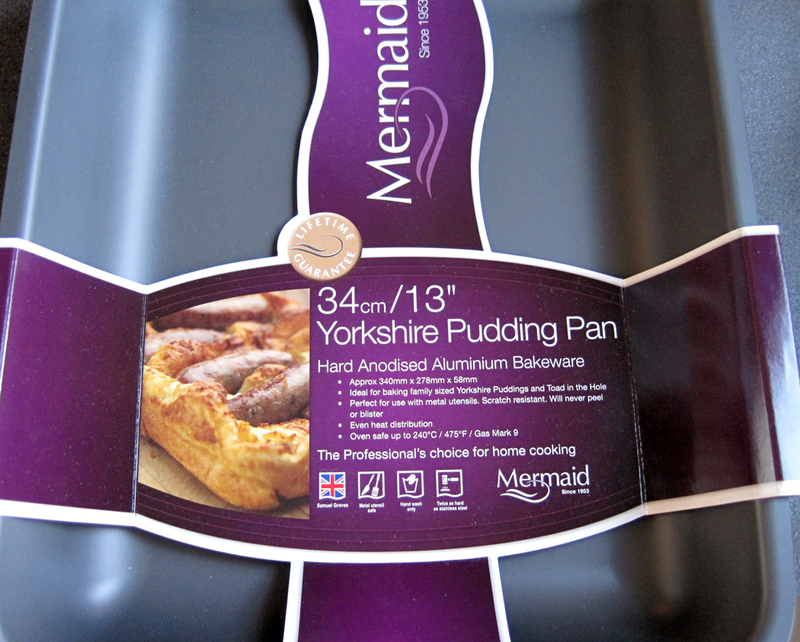 My only (very slight niggle) has nothing at all to do with the pan; on the packaging it says the product will benefit from seasoning, but instead of saying how to do that it says you need to visit the Mermaid Cookware website, but even in this day and age there are still people without Internet access. All in all I say this pan is well worth buying - I love it! For further information on Mermaid Cookware pop over to their website. Thank you to Sarah for sending me one to review. Disclaimer. All thoughts and opinions are my own. I was not required to write a positive review. Nice looking Yorkshire pud there Jan. Those pans are great, everything just slides out.